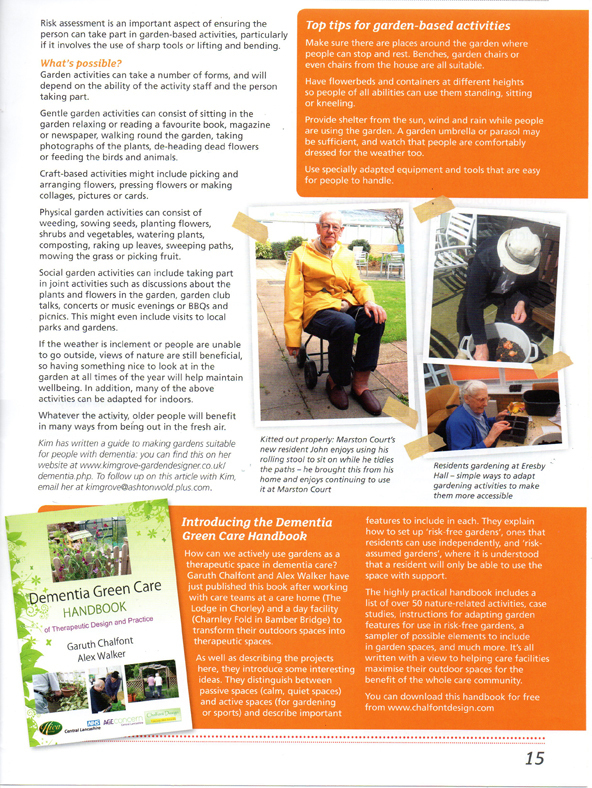 Dr. Chalfont in The Sheffield Star Jan 13th, 2014"
The Dementia Green Care Handbook In "Living Life"
"Place is a space made meaningful through relationship." Nature is therapeutic for which the garden is a healing tool. 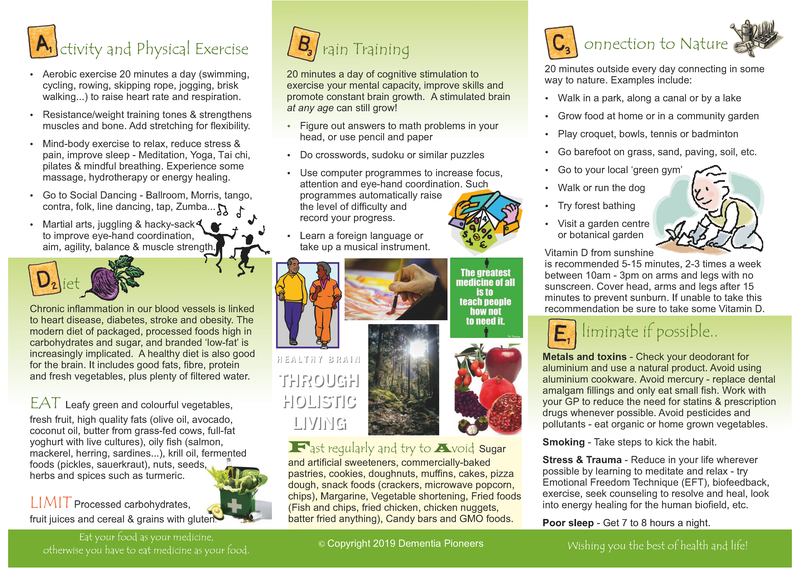 People with dementia can use nature to communicate. A care environment is one which facilitates relationships. A person's level of cognition is no measure of their well-being. 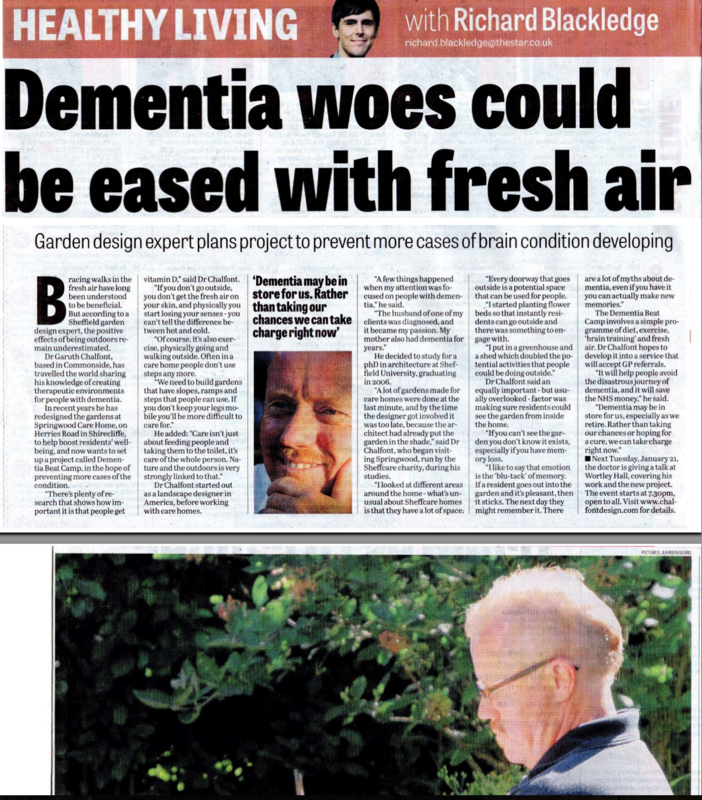 Dementia enables 'Prosentia' - the increased ability to sense, feel and express emotion and affection. 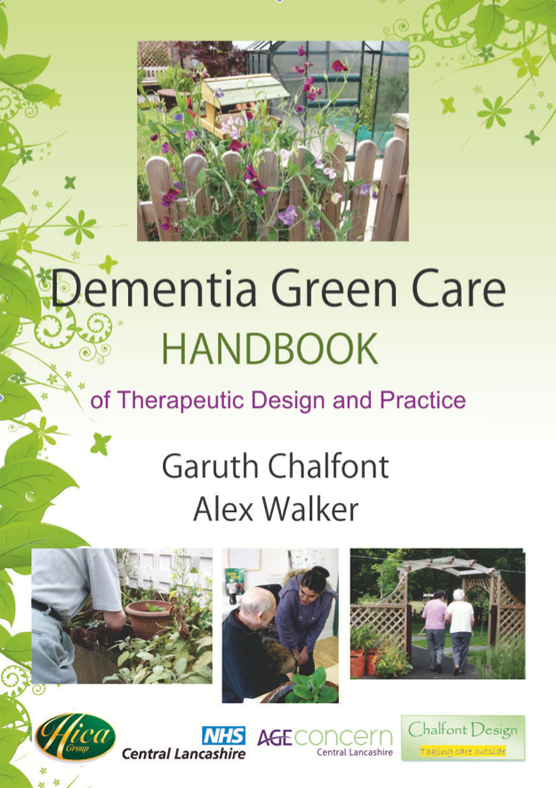 Dr Garuth Chalfont, is a leading practitioner in the art and science of healing gardens, therapeutic spaces, and dementia gardens that incorporate the natural world into the healing process. 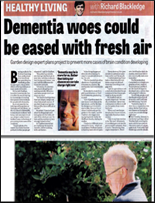 He designs and builds engaging outdoor spaces in dementia care environments. 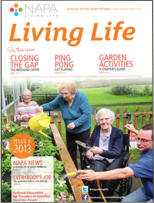 Hands-on training workshops facilitate their active and enjoyable use by residents, staff and families. At Lancaster University, Faculty of Health and Medicine, Centre for Ageing Research his focus is multimodal non-pharmacological contributions to secondary dementia prevention. He explores the benefits of the natural world for holistic health (mind-body-soul). This includes researching the nature gardens he has designed in the UK. 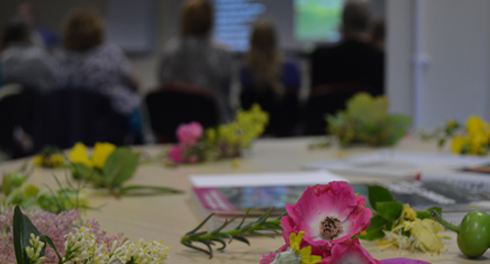 Dementia Beat Camp (Facebook page) and the Dementia Pioneers (local activist group) interpret and promote the evidence gained through his research into culturally relevant lifestyle change.